As the lead singer of brotherly trio The Gap Band, the pioneering group whose late 70's early 80's funk still serves as a guiding light for producers and singers, it has been a long road for Charlie Wilson. From the dusty roads of Tulsa, Oklahoma to the neon lights of Cali to being homeless in the city of angels, the brother has seen it all. "I went from riches to rags," Charlie laughs. "But now it's time for me to take it back to the stage with ?Charlie, Last Name Wilson'." "From day one, R. Kelly has always proclaimed himself a modern day Charlie Wilson," he says. "He and I have been talking about collaborating for years, and now it's finally happening." On Charlie, Last Name Wilson, his first disc since 2001, the former cowboy boot wearing bro is now gator stepping in Chi-town with the king of urban grooves. "This was a big step for me, because the Gap band always did our own music," Wilson recalls. "Letting others write and produce for me, is a big step." Fortunately, coming through on his promise, R. Kelly has stepped to the plate to produce four mackadelic tracks. "The first song we recorded was the title track. I already knew he was talented, but it was then I realized he's a genius." With his own classic appeal, Charlie Wilson possess a style that has never gone out of style, the kind of voice that can be gutbucket and cool, smooth as hot butter and tasty as chocolate. "Charlie, Last Name Wilson" is the kind of urban romancer that will appeal to both old souls hanging in the spot and R&B kids chilling on the block. The instant classic "No Words," is an exquisite track that has an eternal pop sound comparable to Burt Bacharach, Curtis Mayfield or Babyface. With this enchanting song, sonic Chicago architect R. Kelly has constructed one of the finest "drama" ballads of his career. "That is my favorite song, because it's so powerful," Charlie says. "Basically, it's me singing from the woman's perspective. I know some men are going to be mad that I'm saying these things, because now they might have to stop playing basketball long enough to buy their lady some flowers." Throwing down some new tricks, the upbeat groove of "Magic" is a whimsical song with Uncle Charlie (that's what the kids call him) playing the roll of a magician?the kind who can blink his eye, mumble a few words and make your clothes disappear. "It's all about being able to work that charm," Wilson says slyly. Abracadabra, hocus pocus and all that jazz? Raised the son of a preacher man and a strict mother, Charlie recalls his Tulsa days with the fondness of a Hallmark card. "It was the kind of place where you could go to any door and borrow a cup of sugar," he says. "I had a very happy childhood." Though his mother did not want him sullying his ears with secular sounds, he says, "Pops didn't care, because he had a nephew who was a blues musician. Every time he came around his car had shiny wheels and slicked back hair; he wore sharkskin suits and always had a car full of women. I knew then, that is what I wanted to do. Inspired by the black velveteen of Sam Cooke and the Motown sound of Little Stevie Wonder, young Charlie began performing in local night spots while still a teen. "I would be playing for the same people at night that was teaching us during the day. We were playing grown folk's music when we were still kids." Teaming with his brothers in 1967 Wilson proudly says, "And we're still performing together today. We may not see eye to eye on everything, but we are family first. Some crazy things have gone down over the years, but family is the mother ship; and that big ship is the Gap Band." In addition to their "roof is on fire" jams, the Gap Band was also known for making cowboy gear cool in the hood. "People used to tease us, because we came from Okalahoma," Charlie laughs. "So we just decided to dress like cowboys. When we put on the hat and boots, we knew it looked corny, but we did not care. That's our look." Though Charlie has had his share of wealth, he has also had his share of demons. Partying hard and living close to the edge, Charlie lost everything due to bad decisions and drug abuse. "I went from living in a mansion to living on the street," Charlie confesses. "I had strangers living in my house, stealing my cars. I had hit rock bottom. If it wasn't for God and my wife, who knows where I would be today." After the recording with R.Kelly in the windy city, Charlie returned to his adopted hometown of Los Angeles, going straight to the studio with superstar label-mate Justin Timberlake and Black Eyed Peas auteur Will.i.am. "Justin is a very talented kid," says Wilson. "We had worked together on a project with Snoop. We were hanging-out in my trailer when I asked if he wanted to be a part of the project. Justin is a real humble guy." 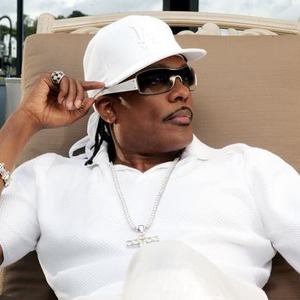 Called "Floatin'," the track is bound to introduce Charlie Wilson to a brand new crowd. Simultaneously laidback and funky, there is a certain bliss one feels when listening to this song. Like an easy Sunday morning, "Floatin'" will make you feel good. "Will is like a modern day Sly Stone," he says. "He is on his way to great things." For sure, Charlie Wilson knows about great things. From those early days touring with the Rolling Stones to being a major headliner in the early ?80s, the Gap Band always brought the party. "When we performed it was all about showmanship," informs Wilson. "That's what I think is missing in music right now, and I'm ready to bring it back." The track for former new jack swing fans is Wilson's remake of Guy's classic ballad "Let's Chill." Of course, as Uncle Charlie is quick to point out, Guy singer Aaron Hall listened to his share of Gap Band material before going into the vocal booth for the first time. "We laugh about it," Wilson says. "But, singers like R. Kelly and Aaron Hall continued in the tradition of what I was doing." Produced by Platinum Brothers and Larry "Rock" Campbell the tone of the "Let's Chill" remake does not stray far from the original Teddy Riley joint-ski, Wilson provides enough flavors to make it even spicier. With a haunting quality to his voice, this is the kind of mood music that demands a red light bulb dangling over the waterbed.